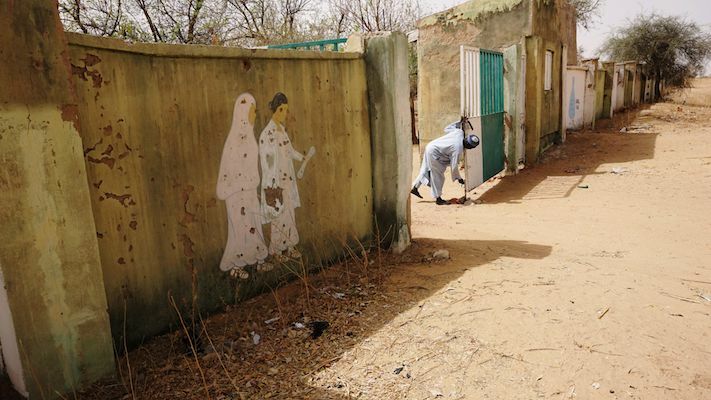 In the early hours of Wednesday, Boko Haram militants drove into the Nigerian town of Dapchi and released the majority of the schoolgirls they had abducted more than a month before. The government says 106 children - 104 schoolgirls, a girl who did not go to the school, and a boy - were freed. It denied claims that a ransom was exchanged to secure the girls' release. News of the girls' return led to celebration in the town, although five girls are reported to have died. The only Christian girl of the group is still in captivity. Parents told AFP that Boko Haram would release her if she converted to Islam, which she refuses to do. Militants stormed the town on the evening of Monday, 19 February. 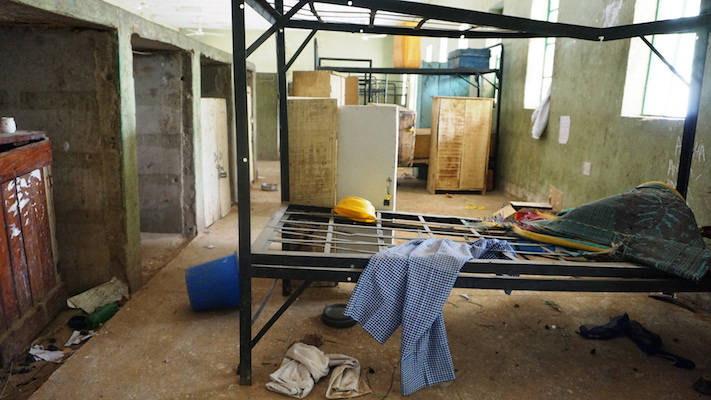 They headed towards the compound of a girls' boarding school as they fired guns into the air. Fatima Awaal, 13, who was not abducted, told the BBC early in March that the attackers wore military fatigues and sandals. She claims they were bearded and had turbans on their heads. Awaal managed to evade capture but her best friend was not as lucky. One of the freed girls, Zulai, told the BBC she recalls hearing a "loud explosion" when the militants arrived. "When they came in we heard a very loud explosion, we thought it was an electrical transformer that got blown. They entered through the main gate so we were scared and we started running for safety," she said. "They covered us and started putting us in their vehicles and drove away. Five of the girls died along the way." Many of the girls and teachers scattered into the surrounding bush. Yagana, who was also released, told the BBC that she stopped running after Boko Haram militants threatened her life. "We were totally confused. 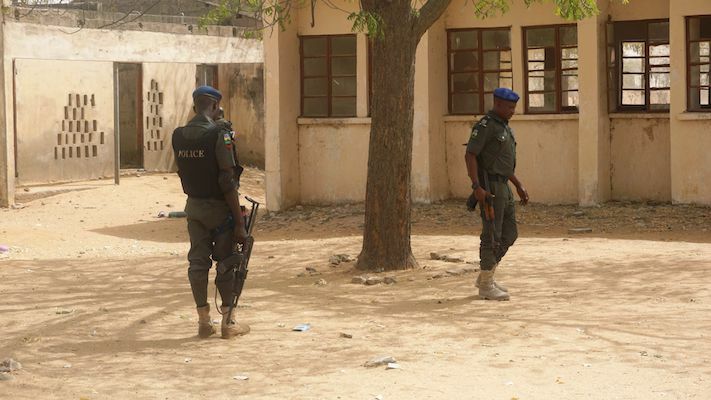 Some Boko Haram people entered through a school gate and we started to run through another gate but they told us to stop running or they would shoot us," Yagana said. "Then we stopped and they asked us to get into trucks. We started getting into one truck and they took us away." Kidnapped girl Larai told Nigerian newspaper, the Premium Times, that the militants had given some of the girls food outside Dapchi. "They asked that who amongst us were fasting. And some of us that were fasting were asked to come down from the vehicle. They gave us Maltina, meat, groundnut cake and pure water," Larai said. "We had our prayers after breaking the fast." She says the group continued their journey by car and only stopped by a "big tree". "We continued our journey until we got to a place with a big tree. They stopped and we were asked to cook food. It was dark, so they put on lamps," Larai said. "We spent one night and then they stopped us and asked us to cook. We asked them to return us and they promised to do so. They then moved us to another location," Zulai told the BBC. They travelled by car and canoe to a safe house. "After eating, then we continued the journey for a long time until we got to a place where there is river, we came down from the trucks and they asked us to enter some canoes that took us across the river," Larai told Premium Times. She says they were taken to forest, where they remained. "Across the river, they took us to a house in one village that I don't know; we stayed there for some time. The next day, they came to ask us to come out and we were taken to the river and continued the journey until we got to where a thick forest area. That was where they kept us; and they have not changed our location since then," Larai said. Four or five girls died during the journey. "About five are dead but it was not as if they killed them - it was because of the stress and trauma that made them tired and weak," Larai told Reuters news agency. Another girl, Talatu, told Reuters that two of her friends were among those who died. They were trampled while being transported. Talatu said that the safe house was well camouflaged. "They kept us in a big, covered house where no-one could spot where we were, even by air we could not be seen," Talatu told Reuters. "They didn't do anything to us, we were kept there, they gave us food and water," Zulai said. 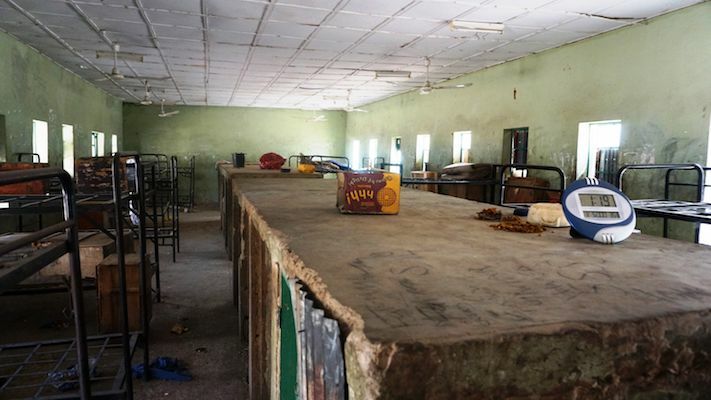 Parents told AFP that nine vehicles brought the girls back to Dapchi on 21 March. Their journey home began between four to five days before, according to accounts by the girls. 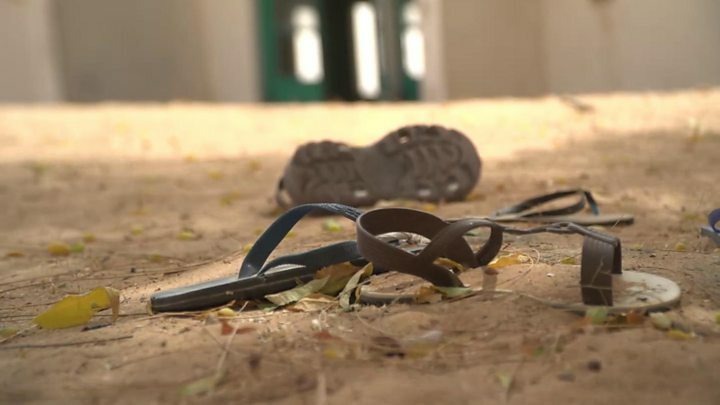 One of the girls' accounts suggests that they were hidden on one of the islands in Lake Chad, a known stronghold for fighters loyal to the Islamic State group-backed Boko Haram faction led by Abu Musab al-Barnawi, AFP reports. "They just told us on Saturday [17 March] to get onto boats. We spent three days on the water before coming to shore, then they put us in vehicles and said they were taking us back home," Ladi told AFP. "Some motors painted in military colour came with our girls," the father of one girl told Reuters. "They [the militants]... said we should not flee. They dropped the girls at the centre of town, near Ali's tea shop. I found my daughter and left," he said. A parent told the BBC that his daughter told him that her return home began on 18 March. "She suffered a lot - thankfully they are free now," he said. 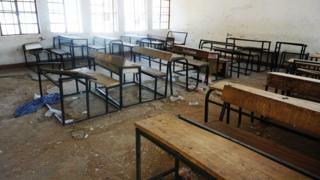 Boko Haram warned the girls not to go back to school. 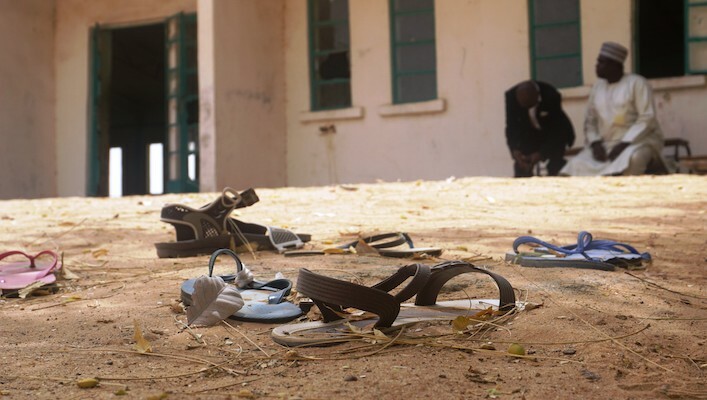 "Apparently Boko Haram simply dropped them by a roadside right in the middle of town and said: 'We have now returned your children to you but make sure you don't enrol them in western education again because if you do we will come back and take them away,'" the parent told the BBC. Parents told AFP that the militants proceeded to shake hands and take pictures before leaving. Hours after their release, the girls were handed over to the federal government and flown on a military plane to Abuja to meet President Muhammadu Buhari. 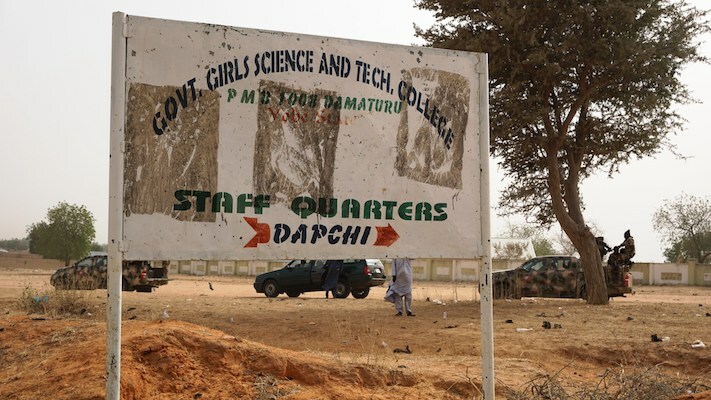 Suspected Boko Haram militants attack a public secondary school for girls in the north-eastern Nigerian town of Dapchi in Yobe state. Nigerian government confirms 110 girls missing. Yobe state government announces rescue of some of the girls from "terrorists who abducted them" and says they are with the army. The Yobe state government retracts the statement and apologises for misleading the public, saying: "No girl was rescued". 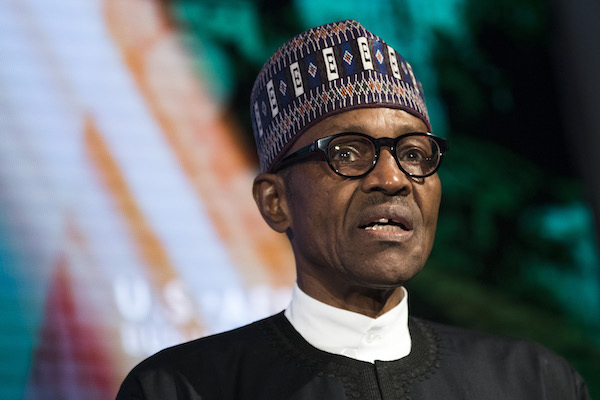 President Muhammadu Buhari calls the abduction of the schoolgirls in Dapchi a "national disaster". Nigerian Air Force announces deployment of military aircraft and additional personnel for search and rescue mission. 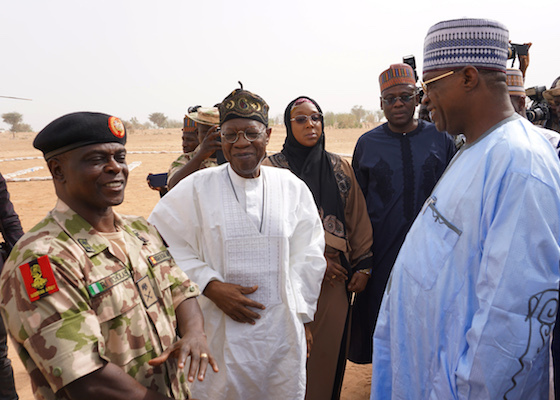 Nigerian army denies claims by Yobe State Governor that soldiers were removed from Dapchi before the girls' abduction. The army then admits it redeployed soldiers away from the town, saying the area was "relatively secure". Federal government launches investigation into the circumstances leading to abduction and releases full details of the 110 missing schoolgirls. 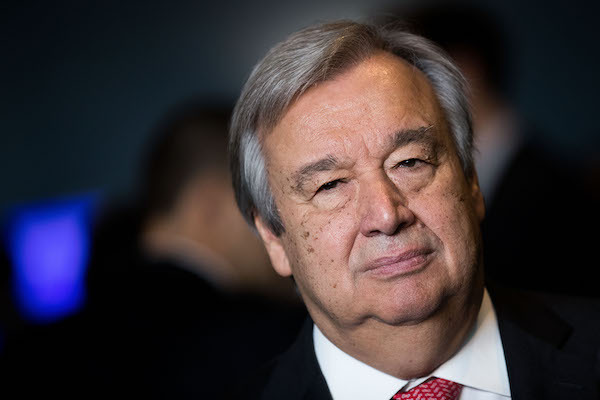 UN Secretary General Antonio Guterres says he "strongly condemns the abduction and attack". 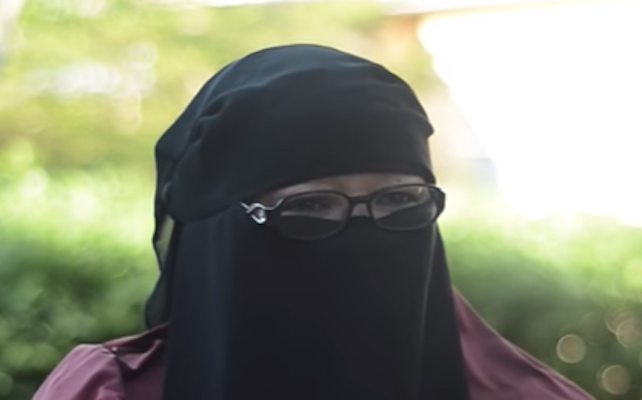 Local human rights activist Aisha Wakil, known as "Mama Boko Haram" because she has known some of the militants since they were children, is quoted in reports saying that the Barnawi faction of Boko Haram confirmed to her that it was holding the girls. Women hold a protest in the capital Abuja, three weeks after the girls' abduction. 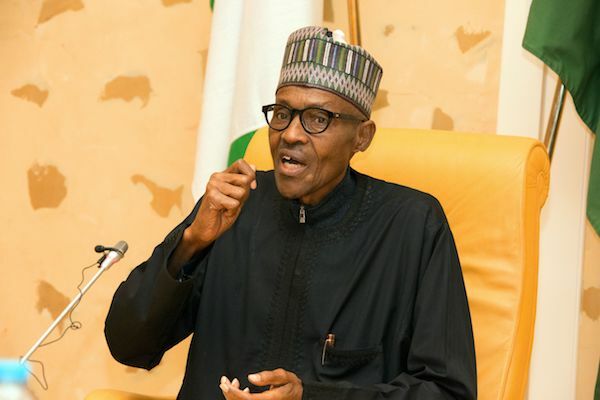 President Muhammadu Buhari announces plan to negotiate the girls' release, rather than use military force. 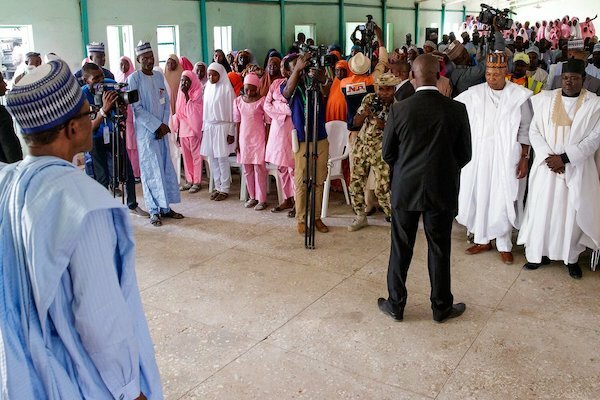 President Buhari makes his first visit to Dapchi, assuring parents of the missing schoolgirls that the government will secure the girls' rescue. Amnesty International claims Nigerian army ignored repeated warnings of an attack on Dapchi town, hours before militants abducted the girls. 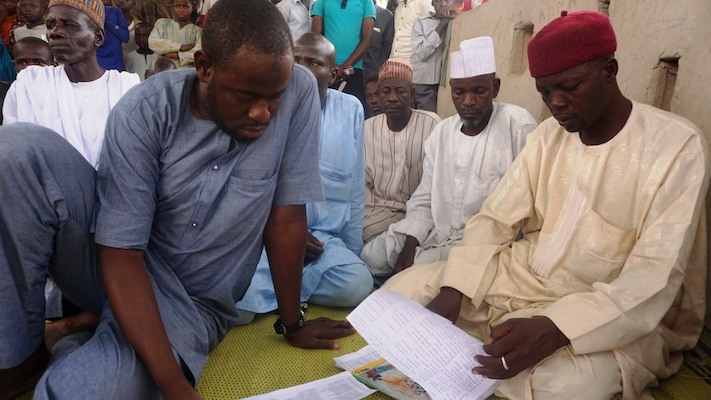 Nigerian government announces that 104 of the 110 abducted schoolgirls have been freed.